Friedrich Nietzsche, one of the most important individuals in the history of Western thought, is also one of the most misunderstood. Myths have accumulated that render him unrecognisable, casting him as isolationist, misogynistic, and even Nazi. No less complicated are his writings that can seem intricate and inaccessible, elusive to the common reader. In this illuminating new biography, Sue Prideaux invites the reader into the world of this brilliant, eccentric, and deeply troubled man, unravelling the myths and legends around this great thinker. 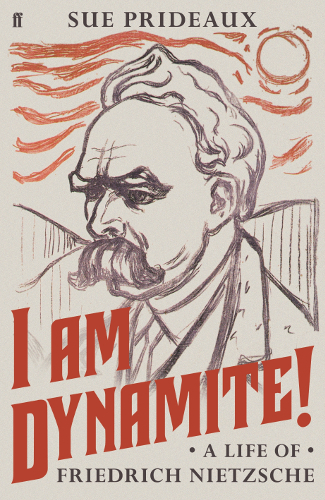 From his devoutly Christian upbringing, overshadowed by the mysterious death of his father, to the horror of his final descent into madness, Prideaux explores Nietzsche’s intellectual, emotional and spiritual life with insight and affection. Her first biography, Edvard Munch: Behind the Scream, won the James Tait Black Memorial Prize, and Sue uses her compulsive style to create a wonderfully readable, superbly researched portrait that will be refreshing for readers familiar with Nietzsche, and perfect as a handbook for those yet to discover him. For an exciting introduction to one of the bedrocks of contemporary thought, join us in the bookshop for what is sure to be a charming and enlightening evening.